Over time your vehicle will collect dents and dings just from being out and about on the road. Hail damage, door impacts, flying stones, minor accidents, there are any number of reasons for these to appear. Cleaning up these dents with Paintless Dent Repair not only makes your vehicle look tidier, it also increases its resale value. Today’s paints are flexible, allowing skilful technicians to massage panels back into shape without damaging the factory refinish. 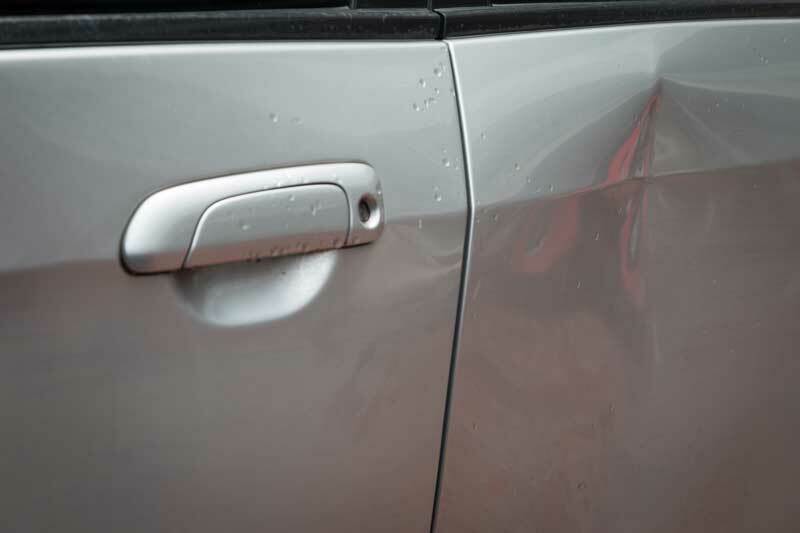 Many minor dents can be repaired without grinding, bonds or fillers if the paint hasn’t been damaged. This saves you the time your vehicle would be in the auto body shop for a full repair, as well as the cost of those repairs. As the end of your lease looms on the horizon, the little things can start to add up to a major invoice from the leasing company when you return your vehicle. Fixing minor dents with Paintless Dent Repair prior to returning your vehicle can avoid the hefty charges leasing companies add to fix these issues themselves. Book an appointment to bring your vehicle into Magnum Collision Center. One of our experienced technicians will assess the damage to see if a Paintless Dent Repair is suitable. The depth and location of the dent will determine if this is an option. If a Paintless Dent Repair can be performed, you could shortly be driving away in your newly fixed vehicle.